Aikatsu! – 101 | Mezashite! To think I started using your subs when this show came out and been watching all the other shows you guys subbed so far. About this episode I’m downloading it now but watched the raw yesterday as usual and Akari seems even cutter than Ichigo in this one. This show was needing some fresh air but I’m going to miss the Soleil trio and the rest of the gang, however about DreAka I hope they magically disappear and get forgotten. I bet this new season will be great and I’m guessing Ichigo will be what Mizuki was from now on. Thank you so much for subbing Aikatsu so far ! I’m in love with it and it thanks to you =) I will miss Ichigo but I am eager to watch season 3 ! It is a little bittersweet to move on from the characters we’ve come to know and love, but a parting of the ways is unavoidable. Thank you so much for picking up and sticking with this series which I would have never known about otherwise. I tried watching it on whim as the first season was just about over and am happy I did. Keep up the wonderful work and let’s all get hyped for Season 3 and the new main cast. Just as kind of a joke, I watched the first episode of this when you guys subbed it two years ago or whatever . And yet here we are still every week getting our goddamn aikatsu. Thanks mezashite! Very good close to the second season. While Ichigo didn’t become number one here we still have the movie for her to surpass Mizuki in. Overall I enjoyed season two. While not as good as season one the characters were fun and it was nice to see a larger focus on competition than in season one. Too bad there were constant ties and they decided to shill Seira and basically replace Aoi with her because otherwise this season would have been just as good as the first. Here’s hoping that season three takes the best parts of both shows. Looking forward to season three and season Akari and the rest of the characters, DreAca included, develop more! I hope to enjoy it with you as well. Thank you very much!! I was waiting to this episode. Now to watch 99, 100 andn101. It sure is something how, two years later, you’re still subbing weekly the show you began with. You deserve applause for that, and I’m happy that I’ve been keeping up with it the whole time (even if this past season wasn’t exactly satisfactory). 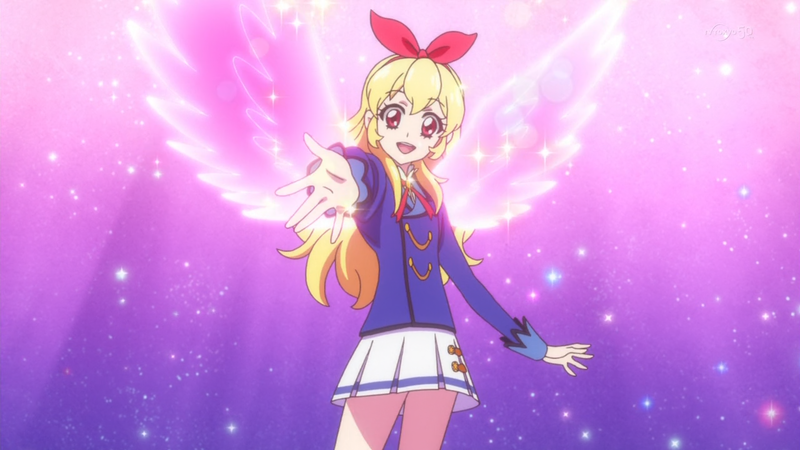 I look forward to more Aikatsu. No burning out yet! Thank you for subbing this show. It is by far the dearest show to me I ever watched and probably one of the best shows ever made. And here we are meeting again after another year have passed. Thank you for your work once again! I hope I will be able to write exactly the same in a year. Second season as a whole wasn’t as great as first but the second half was almost there and I have high expectations for a third one. This episode was a perfect bridge between 2nd and 3rd season. And so many great scenes! Mikury beging Mizuki to see her off at the airport and Soleil just popping out to join Akari, Ichigo trying to catch her up running trough the whole campus… Just everything was great. Thx you for subbing this anime! Just want to ask !